Astures and Romans is a roman reenactment event held in Astorga yearly on the last weekend in July. It commemorates the conquer and Romanization of the area of the modern provinces of Asturias and León, the northern area of the province of Zamora and the eastern part of the Portuguese province of Trás os Montes. The Roman Asturica Augusta was capital to the Conventus Iuridicus asturicensis. Up to 20 Astur tribes are represented in the reenactment, along with 26 Roman groups. 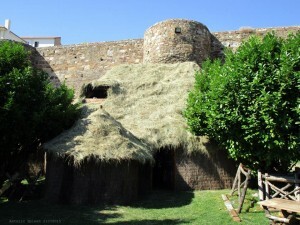 An Astur town and a Roman camp are built every year, with a dedicated space for every tribe and group. The number of reenactors is well over 1,000 in a city with a population of some 12,000. Each group and tribe organizes and takes part in different acts, some astur-only, some roman-only, some mixed. Popular acts include the Astur Wedding, the Burial of the Astur Hero, the Night of the Druids or the Winners Parade. The 4 days of reenactment (from Thursday to Sunday) also include a fierce battle, violent clashes between Roman patrols and Astur guerrillas or open-air Roman banquets. The most popular act is the Roman Circus, where both sides compete in an athletic demonstration that involves actual roman sports. Whoever the winner, an agreement will be reached between the Roman Caesar and the Astur Commander to live in peace for the next year. Such an agreement must have existed, even if tacit, for the Romans, in a way of syncretism found in different areas of the Empire, worshipped Mars Tilenus in the region, Tilenus being the astur god of war. 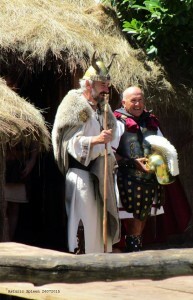 Reenactors from Lugo and from Braga take part in Astures and Romans every year; Lugo (Lucus Augusti) and Braga (Bracara Augusta) were the capitals to the other two conventus in the Roman province of Gallaecia. Reenactors from Astorga, in return, take part in Arde Lucus and in Braga Romana every year. More information about the Astures: WikiPedia.